On the occasion of the 72nd Indian Independence Day, people from all faiths and religious backgrounds are being welcomed inside a historic mosque in Hyderabad, developing a cultural exchange and promoting unity. In the pursuit of a unique initiative, aiming to bring together people from different faiths, the Jama Masjid Aiwan-e-Begumpet in Hyderabad will open its doors for one and all on Indian Independence Day 2018. Popularly known as the Spanish Mosque for its Moorish architecture, the over-a-century-old masjid (mosque), for the first time, will be accessible to people from all religions, who can visit it on August 15, between 10:00 am and 7:00 pm. The initiative is part of the ‘Visit My Mosque’ programme and will also include guided tours with the motive of promoting inter-faith harmony. 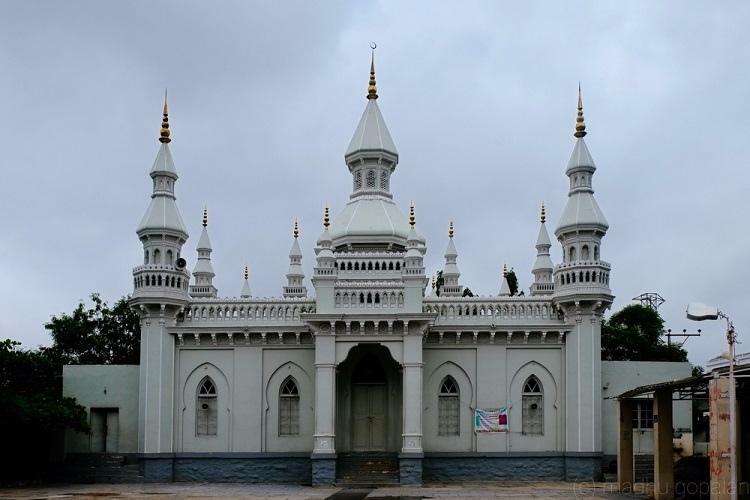 A heritage masjid, in the Begumpet area, this mosque is maintained by the Paigahs, an aristocratic family, whose former member had initiated its construction. “We invite people from all religions to attend the ‘Visit My Mosque’ programme. This initiative promotes national integrity and communal harmony and it is an opportunity to meet, share and experience the values and culture of the Indian Muslim community,” said M A Faiz Khan, a member of the Paigah family and mutavalli (caretaker) of the mosque. The historic mosque was commissioned by Paigah noble Sir Viqar ul Umera after his European tour of 1887 during which he was inspired by Spanish arhcitecture; however, it was completed by his successor. It was built in 1906 and is known for the blend of Moorish and Turkish architectural designs. Through the tour the Paigah’s want the people to appreciate the structural beauty of the monument and also learn what actually happens in the mosque. Khan said that there will be interactive guided tours and people can seek clarifications. Such guided tours of mosques are common in countries such as United Arab Emirates, but now people in Hyderabad can experience it locally. “In today’s world there are lot of misconceptions. Unfortunately barriers are being created and so we would like to undo that and bring people together. This is to promote brotherhood and all are welcome,” Khan told the Indian press. He described it as a landmark monument and one of the unique mosques in the country. “People can share good time, discuss things and feel good about it especially on our Independence Day. Presently this programme is for one day,” he added. The mosque received the Indian National Trust for Art and Cultural Heritage (INTACH) Award in 2010. The awards are given for excellence in Documentation of Unprotected Heritage Structures in India. P Anuradha Reddy, INTACH, Telangana, co-convenor, said that the mosque was distinctive in more than one way. She pointed to the Turkish elements, including Turkish calligraphy that decorated its interiors, to show how the mosque is a fascinating architectural gem of the city. The mosque has a fairy tale appearance with unique minarets and a matching dome, she added. Reddy earlier visited the Masjid-e-Quba in the city’s Mehdipatnam area in June this year as part of the ‘Open Mosque Programme’ and thinks the opening of the Spanish Mosque for people from all faiths “is a good idea… People of all communities can learn about each other. It is happy thing for other people to go and recognise its beauty”.